cut the peppers in half lengthwise. Layer the peppers on the baking sheet. brush them with vegetable oil. Let cool in a plastic bag. peel the roasted peppers and seed them. let rest in a colander till all the water runs down. 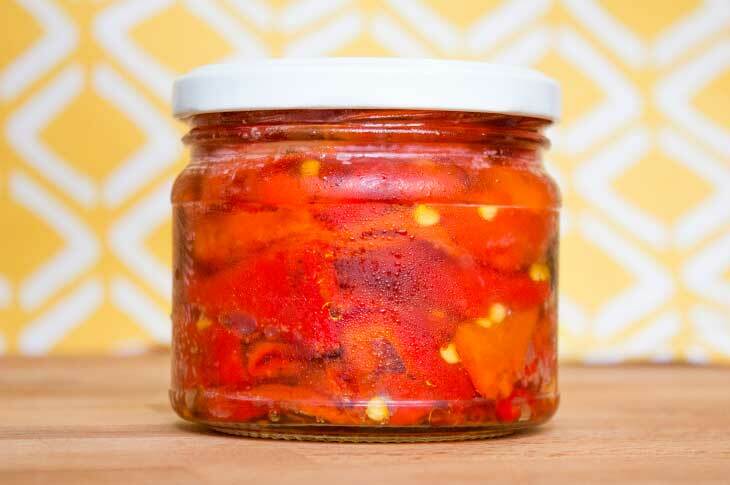 layer the peppers in a jar, add a pinch of sea salt and fill with vegetable oil to the top. store the roasted red pepper preserve in the fridge.